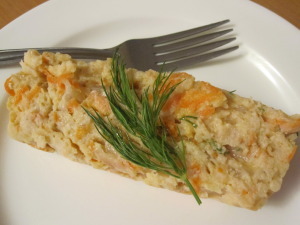 In Yiddish, gefilte fish means “stuffed fish.” Originally, the recipe for gefilte fish called for the flesh of the fish to be removed from the skin, ground up and mixed with other ingredients such as eggs, spices, and ground onions and carrots. The mixture was then stuffed back into the skin, and cooked or baked. Nowadays, the gefilte fish mixture is usually not stuffed back into the skin, but the name remains. 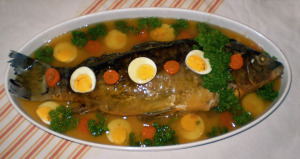 Most of the time, prepared with carp, this typically Ashkenazi food doesn’t specially looks good, but it worth trying it! 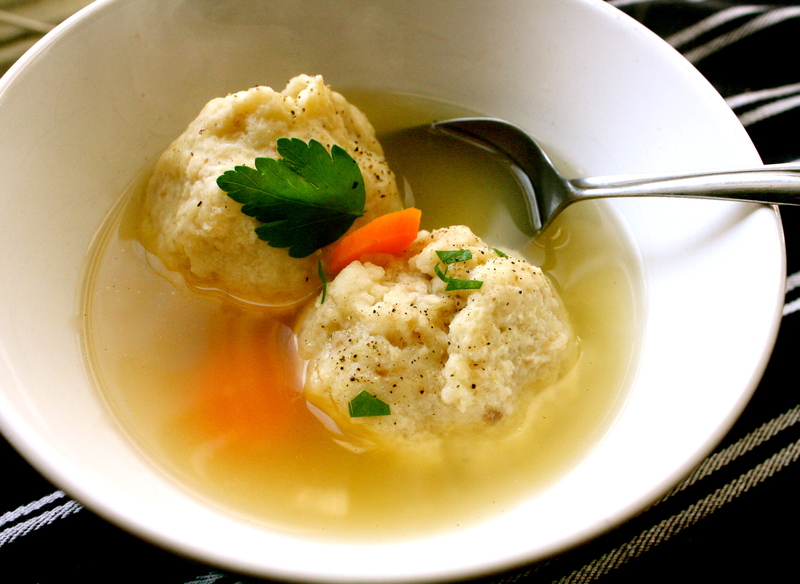 Great for all year round, as well as for Passover, the matzah balls are served in a chicken soup. The main ingredient of the balls is the matzah bread, unleavened flat bread traditionally eaten for Passover. No, this is not the famous French croissant!! 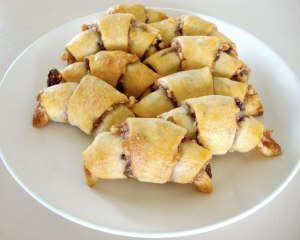 But the rugelah, a traditional Ashkenazi pastry, in a crescent shape, and filled with raisins, nuts, poppy seeds, honey,or chocolate! 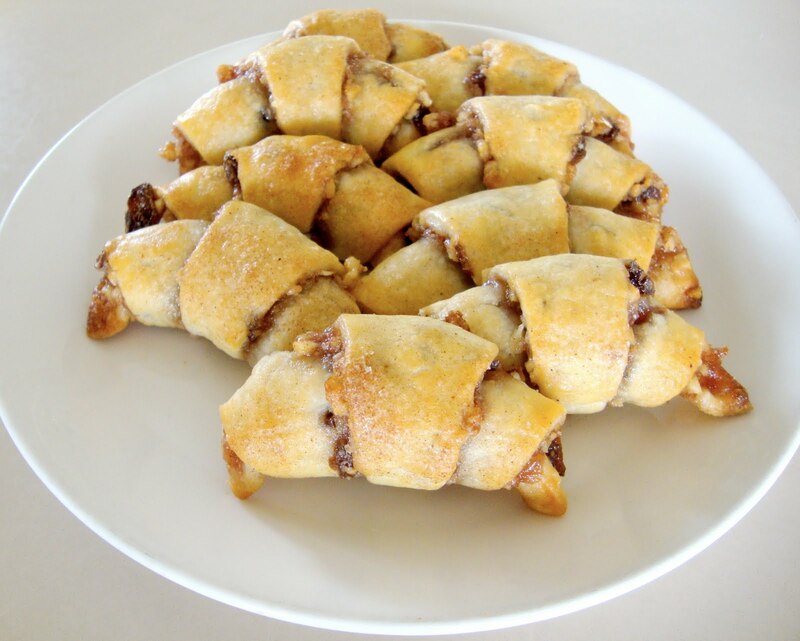 Also called “the queen of Jewish pastries” it can be eaten all year long, but it is specially known as a pastry eaten during the celebration of Hanoukka (also known as the festival of lights). 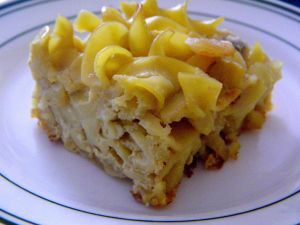 The Kugel can be seen as a baked egg noodles pudding, bound by sour cream, eggs and cheese. 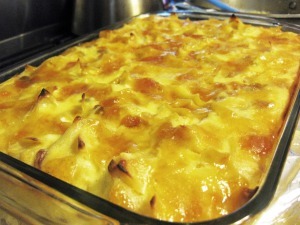 Potatoes can replace the egg noodles. Perfect on a cold winter evening! 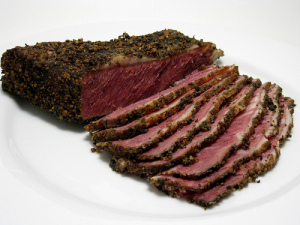 Pastrami, from Yiddish Pastrome, is a popular Jewish food made from beef, the raw meat is brined, partially dried, seasoned with various herbs and spices, then smoked and steamed. 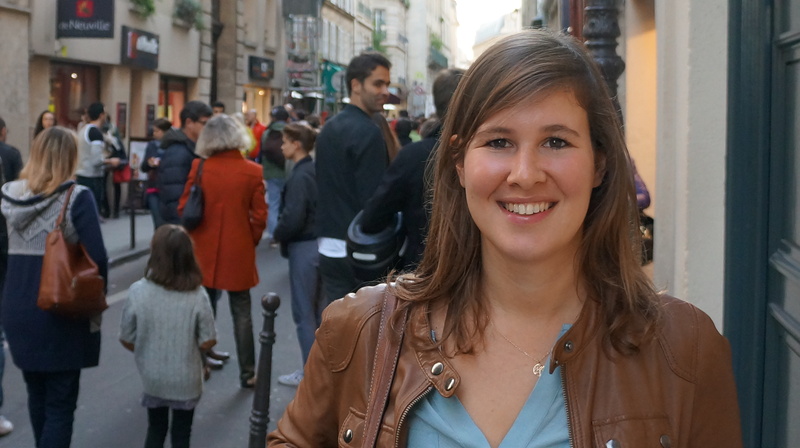 Things we don’t usually know is that, like corned beef, pastrami was originally created as a way to preserve meat before modern refrigeration.In Paris, there are several good places to taste good pastrami in Le Marais neighborhood. 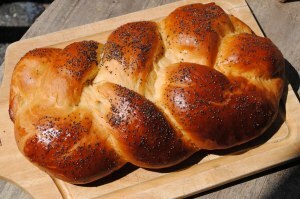 Challah is a special Jewish braided bread eaten on Sabbath and holidays. According to Jewish tradition, the three Sabbath meals and two holiday meals each begin with two complete loaves of bread. This “double loaf” (in Hebrew: lechem mishneh) commemorates the manna that fell from the heavens when the Israelites wandered in the desert for forty years after the Exodus from Egypt according to Jewish religious belief. The manna did not fall on Sabbath or holidays; instead, a double portion would fall the day before the holiday or sabbath. Challah is usually parve (containing neither dairy nor meat, important in the laws of Kashrut). 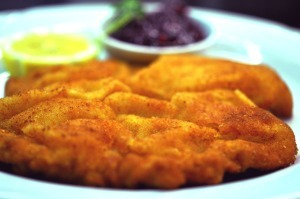 A schnitzel is a boneless meat thinned with a meat tenderizer, coated with flour, beaten eggs and bread crumbs, and then fried. The Pariser Schnitzel is a Wiener Schnitzel variation from the French cuisine. It doesn’t however incorporate bread crumbs as the Wiener Schnitzel. The name dates as far back as from the World Exhibition in Paris 1889. The Pariser Schnitzel is prepared from a thin slice of veal, salted, that’s dredged in flour and beaten eggs. It’s then fried in a pan heated, until the outside of the schnitzel turns golden brown.